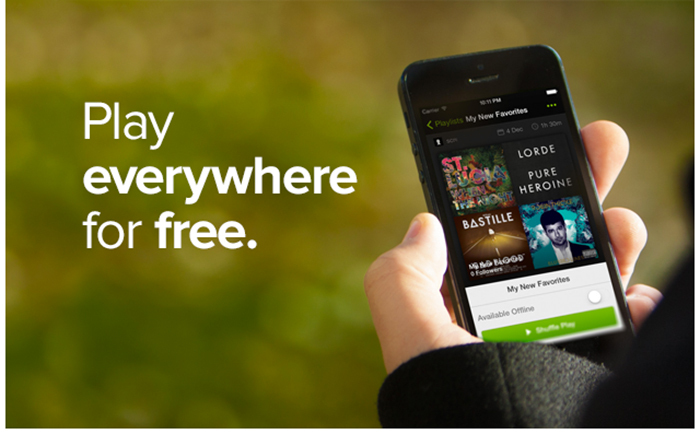 Is the Free Music Tier Crippling Spotify? However, this unique selling point to fans is starting to become a thorn in the side of the music streaming service. Adele and Coldplay have recently announced that their new albums will not feature on Spotify upon release, which will either delight or disappoint depending on your musical preferences. The problem here is that music lovers will not want to pay $9.99 for an album by one artist when they already have access to millions of songs. If everyone reading this can put their music tastes to one side for a moment, we now have the three biggest selling artists in the world Adele, Taylor Swift and Coldplay all missing from Spotify and wonder how much longer this can continue until it becomes a real issue for Spotify. Most labels have a real problem with the lack of royalties from Spotify due to their free service, so has the time finally arrived for them to withdraw the free offering from their services. If they do, could this push users back towards piracy and illegal downloading? Digital revenues have changed dramatically over the last few years as music habits have changed from owning songs in favour of the streaming model. In Spotify’s home country of Sweden, for example, permanent music downloads equated for just 5 percent of the market compared with a whopping 92 percent from subscription streams. Many artists now used a phased approached of bringing their music onto Spotify, which devalues the Spotify experience, especially when rivals such as Apple Music or even Tidal get immediate access due to their lack of a free option to their users. In many ways, streaming has devalued music and fans will happily pay $5 for a coffee, but paying for music now feels to many like an alien concept, and this has to change. Maybe the time has come for Spotify to ditch their free service to persuade top selling artists to grant them immediate access to their material. Critics and music lovers with more discerning tastes might point out that the absence of corporate mainstream artists such Taylor Swift, Adele and Coldplay make the platform a better service. But the truth is Spotify need them and their figures more than the average music snob who professes to listen to bands that don’t even exist yet. There is also a danger of some of the biggest bands of all-time slowly fading into obscurity due to copyright owners refusing Spotify access to some of the best albums of all time. For example, AC/DC and Led Zeppelin both finally understood the value of allowing their music onto music streaming services but the biggest band in the world ‘The Beatles’ remain absent. I have witnessed this first hand with my son, who has listened to Pink Floyd, AC/DC, Led Zeppelin and the Stones because they are all available to stream. However, he knows very little (despite my best efforts) about the Beatles because they simply do not exist in his world or how he accesses music. It seems that many in the music industry need to be brought into the 21st century kicking and screaming, and those who are now running the show need to take greater responsibility for their actions and policies. Not being able to access a few current multi-million selling artists upon the release might not be the end of the world and will only decrease their relevance in this fast moving what’s hot today is trash tomorrow. However, generations missing out on some of the best music ever made because of a lack of understanding of this new digital world would be a great shame. This is quite a complex issue, and it seems that Spotify might be forced to change in 2016 to avoid losing more artists. Could the world’s best-selling artists bring the current streaming model to its knees and divert fans back to their illegal downloading ways, or will a rival such as Apple music who do not have a free tier option step up and become the new leader? 2016 is already looking like it could be the year where the streaming wars will get interesting both in and outside of the music industry, but I am genuinely interested in your thoughts on what direction this growing issue for Spotify will turn next?